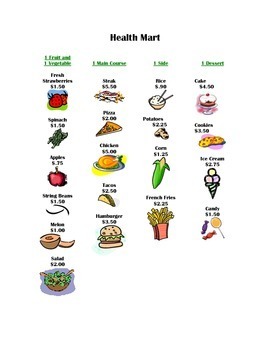 Health Mart gives students a few different choices broken up by meals and items that can be bought at a store. 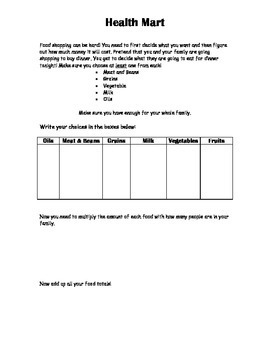 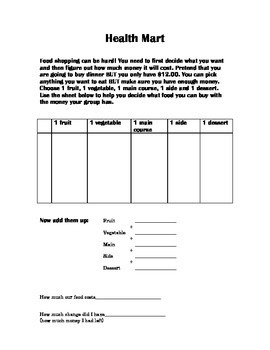 There are 6 differentiated worksheets that can be used along with the shopping circular. 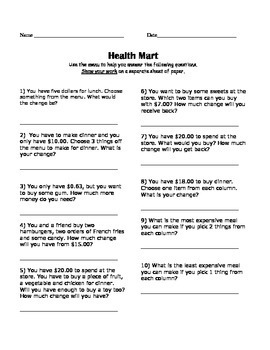 They get to practice their money skills, multiplication, subtraction, addition and division skills all the while making life choices.